I listened to this delightful tale while spinning Wing & A Prayer Farm Shetland/Mohair roving! Thank you ! Hi! Thanks for the giveaway! I really enjoyed listening to Beatrice and especially love the Maine book. I really enjoyed Beatrice’s story, especially that her husband taught her to knit! 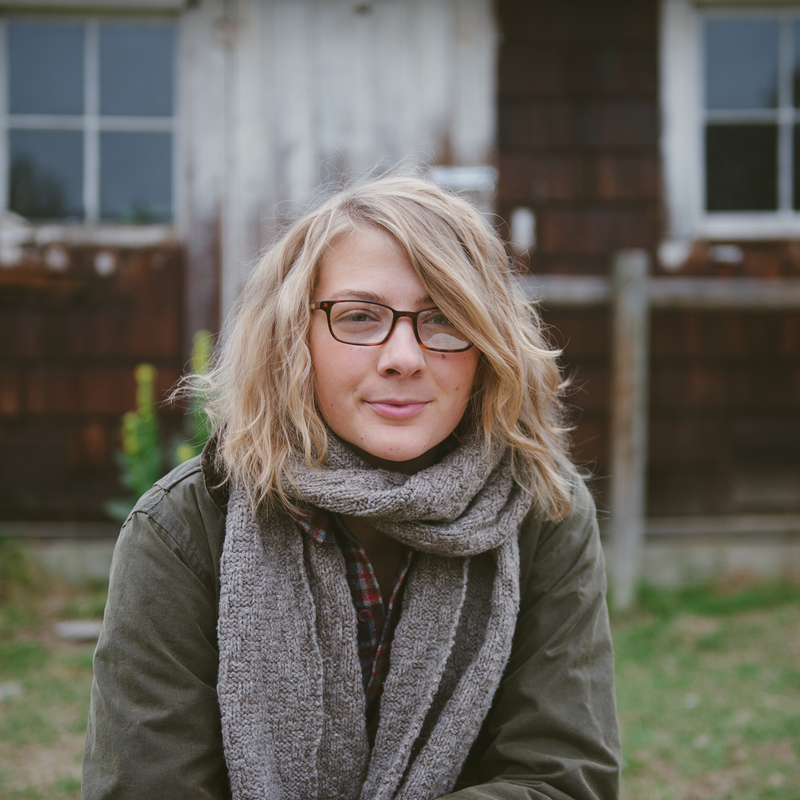 I love her designs – Leah’s too. Must something in the water in Maine! Thank you for this generous giveaway. I’ve often thought that there’s something about Maine that leads to so many beautiful artisans and work from that state. 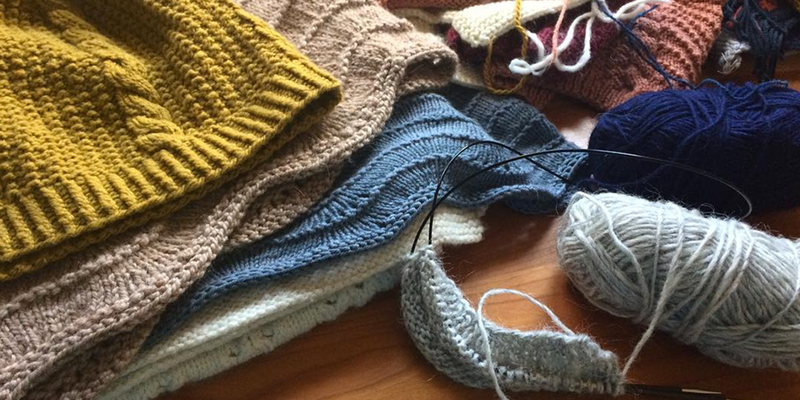 Over the past year I’ve become a fan of Beatrice’s patterns and love my copy of Maine Knits. I enjoyed hearing about the process of the book’s creation. I had to smile when I saw that Beatrice is featured on this podcast! Her designs are so lovely. I’m excited to get to know her here! This episode seriously stoked my Maine-lust… what an amazing, inspiring place! Just love this story. The giveaway is fantastic too..
As always, thanks for so much all the inspirations! I look forward to every Woolful story and again I wasn’t disappointed. Another great podcast, thank you Ashley! Loved hearing about Beatrice’s story (and that her husband taught her to knit) and her thoughts on hobbie vs income; very refreshing. I’m loving my Maine Knits! Another great podcast, thank you Ashley! Loved hearing about Beatrice’s story (and that her husband taught her to knit) and her thoughts on hobby vs income; very refreshing. I’m loving my Maine Knits! Thanks for all your work on this podcast Ashley. I was very interested to learn of Scratch Maker in Lebonan, NH. I am from NH and my mom was born in that City. All things come back around I guess. Thanks for the reference. Thanks for all your work for your podcast Ashley. I was very interested to learn of Scratch Maker in Lebonan, NH. I am from NH and my mom was born in Lebanon. All things come back around I guess! Thanks for the reference. Ashley, your podcasts never disappoint, it’s your quiet poignant approach to your guests. Hearing Beatrice’s story and her journey through the process of creating a book was so interesting. We, as consumers never get such an intimate description or understanding of the process. Thank you! I really enjoy your podcast and the way it exposes me to new designers. 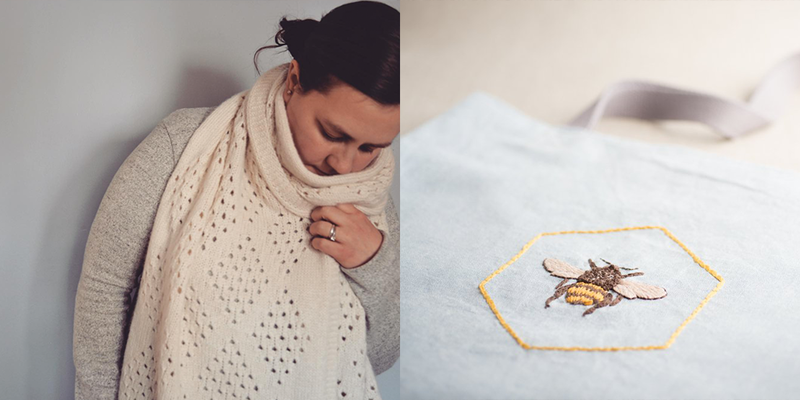 I love the embroidered bee at the top of the post! Great podcast. Thanks for sharing. Another informative and delightful podcast Ashley! Every episode and story tickles my imagination and provides fodder for my imaginary homestead and or fiber love! Thank you for sharing these amazing creative souls. 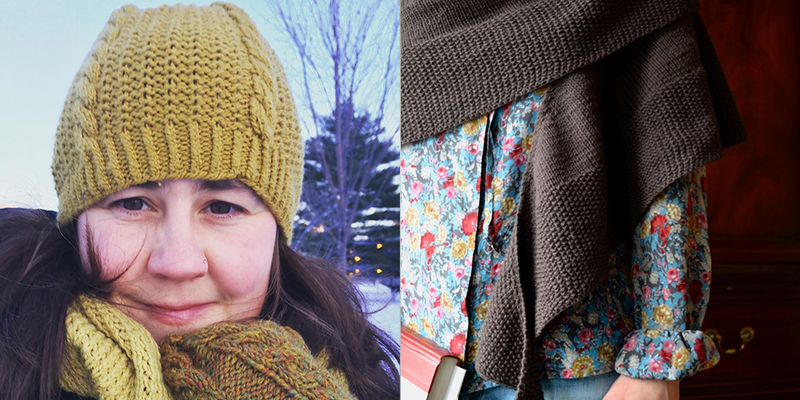 Maine knits is a very beautiful piece of work, so great to hear the person behind it! Love this podcast! I’ve always wanted to go to Maine. My parents were stationed there their first year of married life, and I’ve grown up hearing all about it. A lovely podcast as per usual. Beatrice taking about how quickly her children are growing up makes need to rush and give mine a hug right now. Enjoyed listening to the interview very much. The book and patterns look beautiful. On my way to listen to this new episode, on a rainy Sunday. Thank you for these stories! Another really interesting episode. Thank you for introducing me to such wonderful content, some of which is new and some familiar. Isn’t it interesting that the sea and knitting go together. Just recently I was thinking of taking a chair down to my local windswept beach and settling down to some knitting with a thermos of hot tea! Maybe I will do it this week………………. I love Beatrice’s designs, I’m glad you feature her on the podcast. 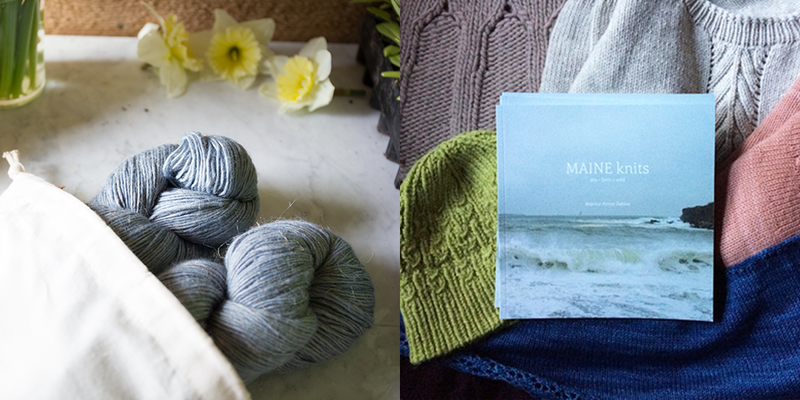 Maine Knits looks like a beautiful book. I really enjoyed listening to this conversation. Thank you for another lovely chat and generous giveaway! I am a new Woolful listener and have really enjoyed catching up on your podcasts. 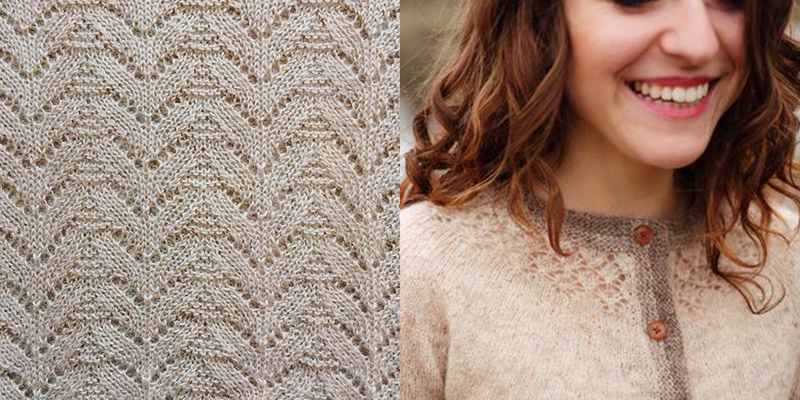 Lovely knits above, and I have been a fan of Taproot since the beginning. Thanks for your thoughtful work on this podcast. It is simply beautiful. I absolutely love the embroidery! The bee hexagon especially! Love Maine, so inspiring and beautiful work! I found myself completely captivated. Beatrice & her devotion to her art, her family, and her community was a worthy episode. Thank you, Woolful! 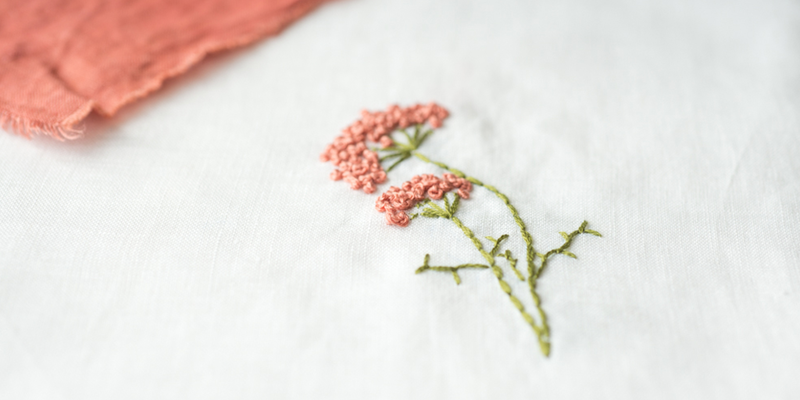 I loved Beatrice’s story about watching her mother make the French knots. I had a similar experience looking on while my mother baked. I still find watching her hands mesmerizing. I appreciated Beatrice’s frankness on the challenges of making an income as a creative. This episode certainly made me interested in visiting Maine one day. Beautiful, love the interview as always. Enjoyed hearing about Beatrice’s journey both professionally and personally. Thanks for another great podcast and giveaway. I have been wanting to get the Maine book for so long. I love all of Beatrice’s patterns and I love Maine. Maine is one of my favorite places…fortunately I have a sis who lives there! 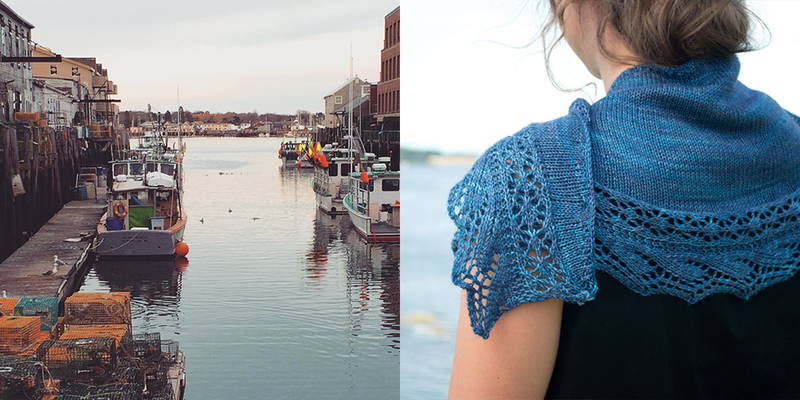 I love the Shawl in Taproot….would love to make this….Thank you! Like many who’ve commented, I’ve had my eye out for Maine since it came out. Thanks for the great episode! I enjoyed the interview. I just looked through the patterns on Ravelry and put the Folium Cardigan in my cart. It’s over 100 outside now, but I know I’d love this 6 months from now. Wonderful episode as usual! 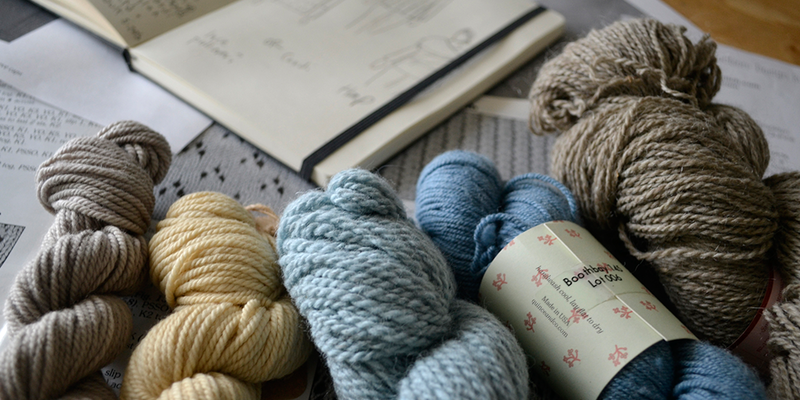 I loved hearing about the creation of Maine Knits. Beatrice was wonderfully candid about working in the fiber business. Great giveaways as always. Another great podcast! I love Beatrice’s designs. Thanks for the generous giveaway! Oh man! What a lovely giveaway. Hope I win. Interesting episode – I have only visited Maine once and I absolutely loved it. I grew up near the sea and miss it still! So refreshing. Love that Beatrice touched on her emotional state of turning her passion into a career and working on changing her mind set so the joy isn’t lost. Thank you!!! Thank you for this giveaway! I’d love to curl up with the book; I’ve seen it in stores and it’s a beauty. What an amazing giveaway! 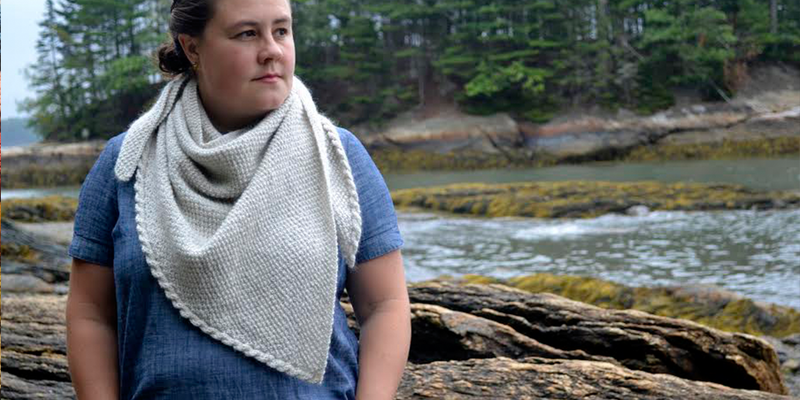 I love MAINE Knits and have long admired Beatrice’s designs. Thanks for doing such a great interview! Best treat there is, a new episode! Thank you, inspiring as always! Can’t wait to listen to this episode – it will be my evening treat on the porch tomorrow! Great podcast. I love Beatrice’s designs, especially her shawls. So interesting hearing about the creation of her book. Thank you so much for allowing Beatrice to share her story… She was a joy to listen to and she now has a new fan… Me !!! I love this podcast! This time of the year, I listen while pulling weeds! Thank you for this ever so thoughtful podcast … I adore hearing these stories of wonderful fiber people!! Keep up the great job! Absolutely love this fiber community !!! Great interview! Thanks for the giveaway – fingers and toes crossed!! Lovely giveaway! I agree about the importance of joy. Thank you for this podcast. I love the designs of Beatrice. Gentle Ewe Shawl is my next knit. I really enjoyed listening to Beatrice’s story as I love her patterns. Thank you! I’ve had the Maine Knits book on my wishlist since it was first released. Several of the patterns in it are among my favorites in Ravelry. Thanks Ashley and Beatrice for once again carrying me into another story, another place! Loving every moment. Greetings from Wyoming! I love your podcasts, however I always look forward to seeing pictures of your cute boys on Instagram. They grow up so fast! Another great episode! Now I need to find this book! So much talent! Love it! What a delight to find your podcast! My daughter had tried to purchase the first edition of Maine Knits for my birthday — although disappointed that you had sold out, we both had a celebration for your success. 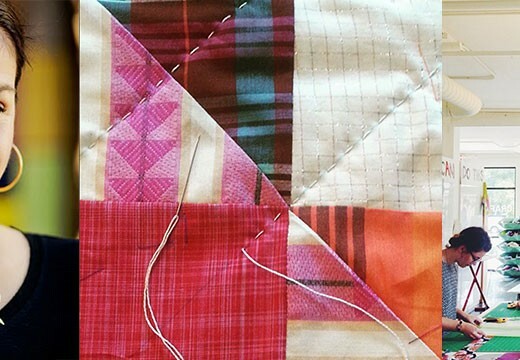 This podcast makes me want to rekindle all of the fiber arts that I had learned in my youth. Thank you! Such an incredible work of heart! You can tell each project was created thoughtfully! Can’t wait to hear from Beatrice! Thanks for this episode! 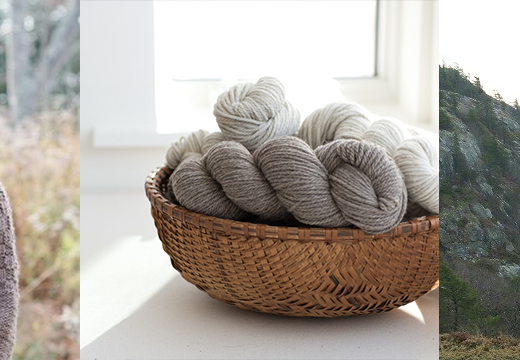 Maine Knits is a lovely, inspiring knitwear book and with wing and a prayer yarn would be any knitter’s dream combo! I listen to every episode of Woolful. Please keep up the good work. Your interviews are informative and entertaining. Looking forward to listening to this. I backed Beatrice for her book and looking forward to knowing more of her story. Hi ! Thanks for this new wool journey ! Have a good summer day ! Thank you so much for what you do. I always enjoy listening and gain lots of inspiration! Fascinating to hear Beatrice’s story behind Maine and to gain an insight into how she juggles her busy life with her work and family. Great episode. Oh my word, I just loved listening to this episode! I’ve subscribed to Taproot for a couple of years now, and GROW has been one of my favorites thus far. Super sweet to hear about the realities of publishing and life as a creative entrepreneur. Encouraging to me as a new indie dyer, as well. Thank you for this podcast — I’ve also listened for a couple of years but haven’t ever commented. Sending love and gratitude for the work you do! Thanks, Beatrice, for sharing with us the joys and struggles. It’s all a balance, isn’t it? I enjoyed it so much. Thanks to Ashley as always and to Taproot, Wing and a Prayer, and Thread & Ladle for the prizes!! Fabulous podcast! 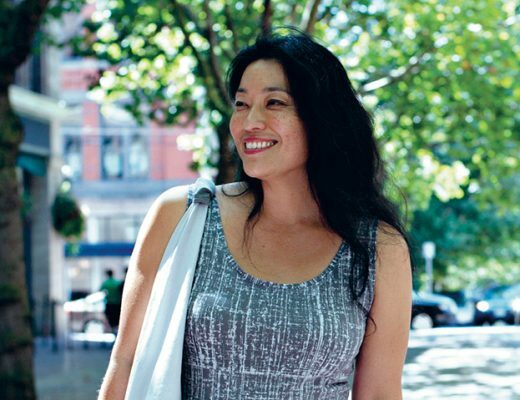 So inspirational to hear someone fulfilling their passion while maintaining work/life balance! 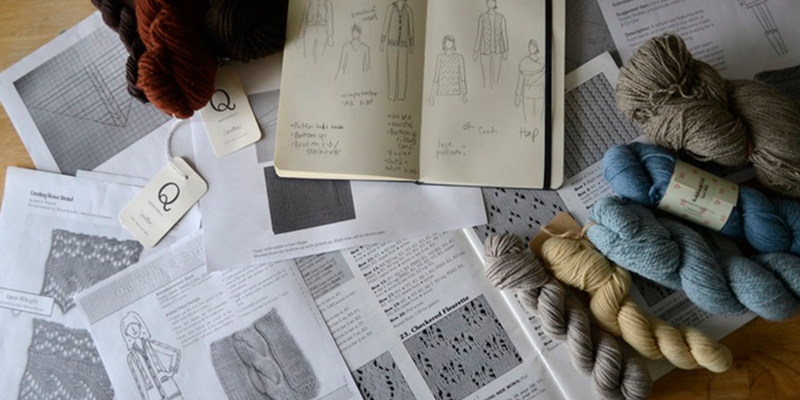 that goes into making these beautiful books for us fiber loving folks. up with spending time with children and family. Thank you for sharing from your heart……………. I loved listening to the episode! Love Beatrice’s story and designs. 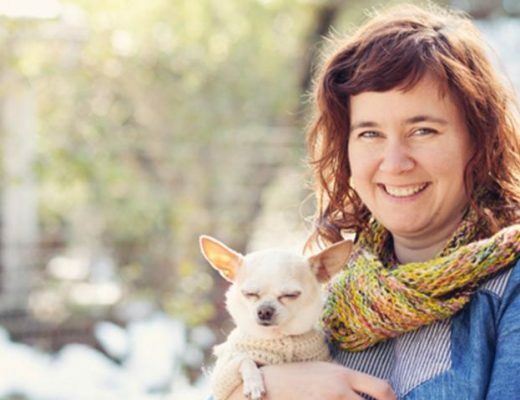 I’m familiar with her, Wing and a Prayer Farm, and Maine Knits, but now I am also charmed with Taproot magazine and Woolful’s podcast! 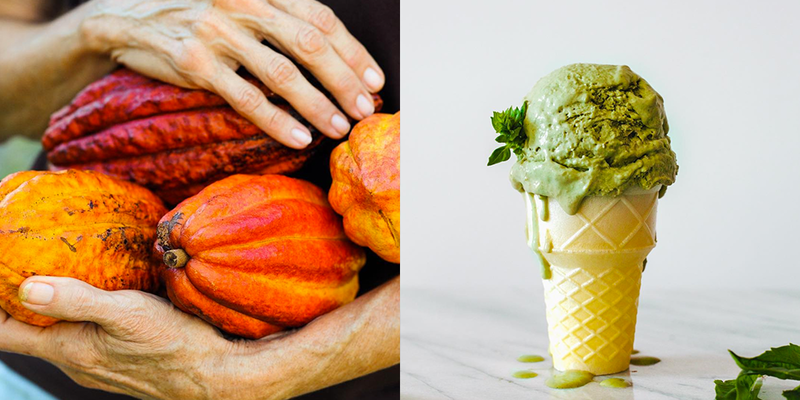 So happy and grateful to include all of this in my fiber world…thank you! Thank you so much for your continued commitment to these podcasts. They are encouraging and inspiring. Loved this episode! This is my favorite podcast. Thank you for all of your work to produce it! I can’t wait to listen to the podcast on my commute tomorrow. I love Beatrice’s designs. Another pleasant visit with like-minded, like-hearted souls. Thank you for your lovely corner of the technological world. I really enjoyed this episode with Beatrice. Her designs are some of my favorites. It’s also been a long time since I listened to your podcast. I had an accident and couldn’t knit, spin, or really do any physical work for a while. It feels nice to be back and inspired!!! I really enjoyed hearing about her book making process. I learned something new! Great interview. Thanks so much. How serendipitous! I received my copy of Maine knits in the mail today when I decided to listen to the podcast and I had no idea who the guest was. I now look forward to reading it even more. 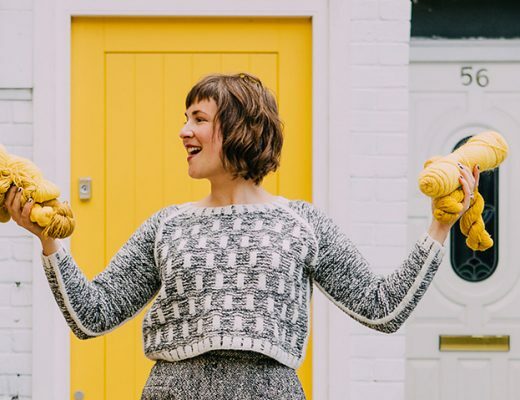 this was a wonderful podcast and she has so many beautiful knits! Hi, I like your podcast a lot, it is very human, I discovered this a few weeks ago and I have listened to all episodes. It seems that you and your people are living in a dreamy world. I’m not white, so I wish that you could some day make a podcast with fiber artists with other cultural backgrounds. Gracias, mucha suerte en todo! Another great podcast. I have been a fan of Beatrice ‘s designs and it was exciting to see a podcast about her. Coincidentally, I currently have a cowl pattern of hers on my needles as we speak!! You always feature the most lovely stories, pictures, and giveaways! Thank you! loved learning more about Beatrice! Excellent episode! I have heard of Beatrice in the periphery but have not had the opportunity to learn more about her story till now! Such a kind caring sounding person. Discovered Taproot about a year ago. Just love it. Discovered you today. Look forward to future podcasts and hope I am the lucky winner. The vert first podcast that I have listened to from start to end and I loved it! Thanks so much, I will certainly be back to hear more. Beatrice’s tale is inspiring as is your podcast – I shall return, LOL. It was nice to hear from Beatrice in voice, especially when you live states away and only really see her through books, blog and IG. I think that’s what is so nice about your podcast. You can put a voice and personality to their picture and prints. I’m thankful to have Tammy’s beloved Thelma & Louise in my stash to knit The Gentle Ewe Shawl. It’s sure on my list! Just found your podcast and really enjoyed the interview with Beatrice. It was very interesting hearing about how she put her book together. I, too, was a military daughter traveling by car everywhere, but I learned how to sew and knit from my grandmother. My husband does not knit, but supports my knitting and sewing projects 100%! I look forward to your next podcast. Really enjoyed this episode. Thank you! 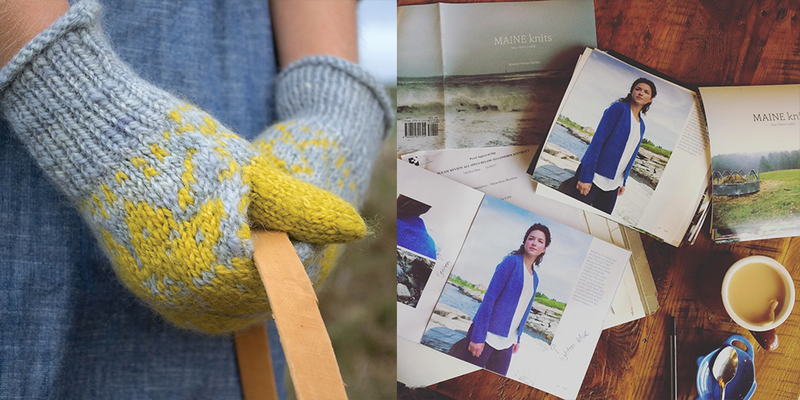 I have already made several of the projects in MAINE Knits, so it was a lot of fun to hear more of the backstory of how the book came to be! Yay!! Always a pleasure learning even more about fiber friends from afar. Thank you ladies! And thank you for the chance to win these goodies. I’m always so envious of people who had a sense of direction so early in life. Congratulations on the book! Another great episode. Enjoy all these wonderful people and their creativity. This was a wonderful interview! I’m glad I found your podcast, listening was great! I LOVE your podcast! Just wonderful. What a wonderful story and beautiful knits! Another EXCELLENT podcast! Aww, I want to move to Maine! Lovely photos and podcast❤️ I love Maine too. Woolful podcasts keep me grounded and connected in my world of new mamahood! Thank you for that sanity and for this opportunity. I loved this episode!! This was wonderful!! Beautiful pictures! Lovely episode. It left me with encourament to keep creating and my dream will happen.Taproot has a variety of readings and research. Can’t wait to listen to this one! And what amazing giveaways! Really looking forward to listening to this podcast. Thanks for such a generous and wonderful giveaway! Loved the podcast! Thank you for the generous giveaway! Another delightful episode… Love and thanks to both Woolful & Beatrice for the gentle joy your work brings to so many of us. Thanks for the great episode and the giveaway! My daughter introduced me to the Woolful podcast and I have to say I’m addicted. I especially liked hearing about Maine, because I used to go there as a small child and that is where I learned to knit from my Auntie Re. I’m still knitting 57 years later. I am so happy to have found this post. Thanks so much! Thank you for this podcast! I always love the podcast but I really loved this one. Special thanks. My parents and I used to travel up the Maine Coast in an old but beautiful boat in the summers! I loved listening and remembering. Thanks so much for the giveaway also! This was so lovely, thank you. I really enjoy hearing the back stories of how people get started in what they love. The roads are so winding and there is often a lot of luck involved. I am always looking forward to the next interview to meet someone new or learn more about someone I may have already heard about. I hope to get to Maine someday! I just love your podcasts. I listen to them on the bus on the way to uni and I’m always grinning all the way. I love seeing all the lovely yarns and projects! Loved Beatrice’s story. Thanks for the drawing. Wow, so much goodness here! 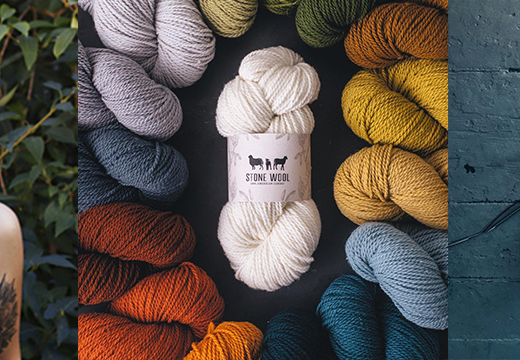 Taproot Magazine, Beatrice of Thread and Ladle, and Wing and a Prayer Farm are all near and dear to my heart. What a delightful podcast. I learned to sew from my aunt and to knit from my mother. As I get older, I treasure that legacy more and more. It will live on even after they are gone and has added poignancy to my fiber and fabric activities. 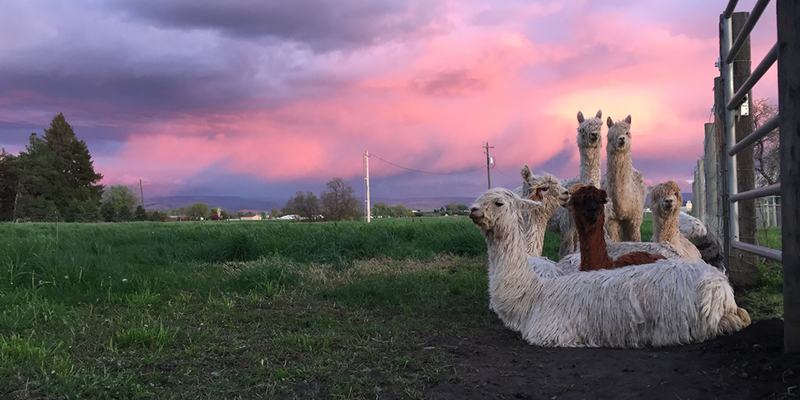 Beatrice is honest about her struggle to manage all of the interesting and inspiring facets of her life: fiber, home, husband, children, teaching and design. I recently found her on Instagram and was happy to learn about her as a person after enjoying her posts and her designs. Thank you. I’m new to this podcast and I’m really enjoying it so far! Never been to Maine, but now I really want to go 🙂 Thanks for the inspiration! I loved the interview and would love to win! Love learning about all of these wonderful fiber people. Thank you for putting on such a lovely podcast! Another fantastic episode! 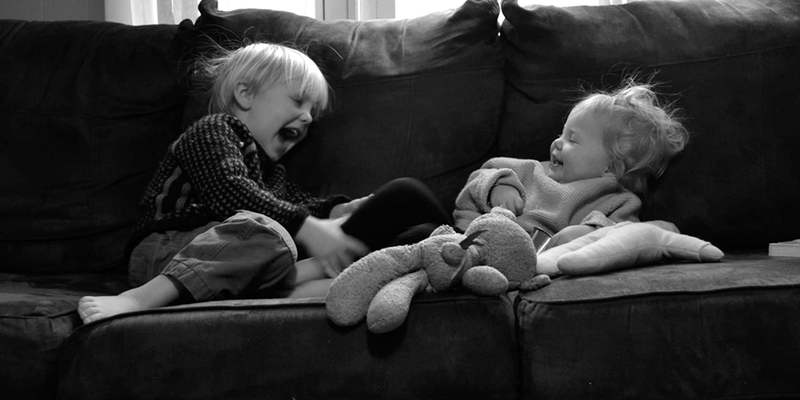 As a mother at home with a baby and toddler I particularly enjoyed Beatrice’s story. Very inspirational! Another great episode! I especially love horsing from a fellow Mainer. She’s right…Maine is a very fiber-inspired place. I love every episode – they make a long commute into work a good thing! This episode inspired me SO much that I booked my first trip to Maine this fall! Thank you! I loved the interview with Beatrice. I’m headed to Maine this summer and plan to connect with the fiber community. 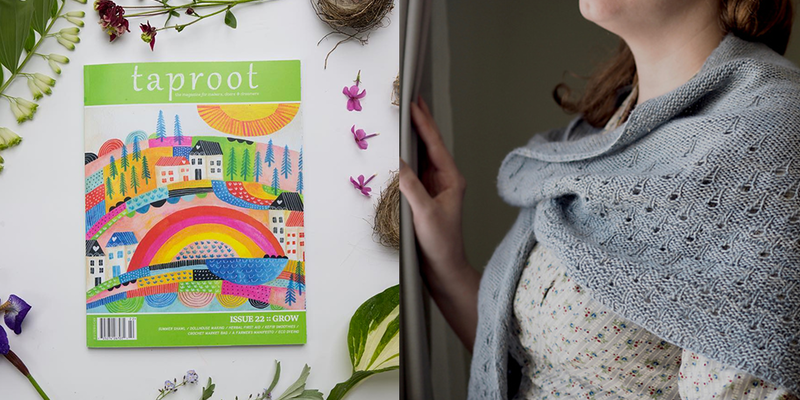 I love everything about the latest issue of Taproot and can’t wait to try the recipes and cast on the shawl pattern! I love Beatrice’s designs. Thank you for the chance to win such a beautiful book! This was my first time visiting Woolful . I so enjoyed Beatrice’s podcast . I got here through friends I made at the Adironack Fiber Festival and mostly the wonderful sisters, Barbara and Sarah, who create the most wonderful fiber creations including hand hooked rugs and kits and patterns and hand dyed wool and handmade one of a kind ornaments and animals and pins (The Paisley Studio Blog or Paisley Studio Rug Hooking on Instagram) and their shepherdess extraordinary friend, Tammy of Wing and a Prayer Farm, and her beautiful farm and sheep and so many animals and red barns and events and her writing and handmade wool and cotton duvets and wool and fiber goods and pies and her connections to those of you in this enchanting fiber folk world: including Woolful; Taproot; Maine Knits; French General; and so many more. You are all so special. I love Beatrice’s designs and would love to win this giveaway. Love this episode and Maine Knits! Thanks for sharing it with us. My favorite thing to do while knitting is to listen to a Woolful podcast! Wonderful episode.